These are exactly my thoughts. And from a technical viewpoint this is perfectly doable. But for the upcoming release I will focus on getting Simons values from Tychosium 2D transferred and if time allows, put some key stars and reference lines in place. The grunt of the work has been to redesign the time system from the lessons learned from T2D. The camera system I use for Tychosium 3D is a generic one that only allows some rudimentary positioning, but it's perfectly doable to build a custom system that attaches the camera to a place on our rotating Earth and shows a view of the model as it would look in Stellarium or Neave. I'm the only developer working on this currently, but my hope is that when this first release is out the door and people start to catch on we will soon reach a point where this can be a community developed software hosted on for example Github. Working with Tychosium has been a way for me to understand Simons work and there is no doubt in my mind that Tychos will be the first model of the Solar system in history that can be displayed in the way you describe and that that will help put an end to the 400 years long Copernican delusion. Those objects, after all, are what Simon is proposing a new model for, not so much the stars (as far as I understand). The key thing with Simons model is that it works both in respect to the stars and planets. And that is also the Achilles heel of the Copernican model. Planets line up with stars (confirmable in the sky, Neave or any other observation based planetariums) that is not possible if that model was correct. I look forward to observing your progress with the software, and my hat is off to you for what is clearly very fine work. Simon is very fortunate to have someone with your talents to collaborate with - a testament to the caliber of person who is drawn to his work, to be sure! If you are able to implement what you seem confident that you can, you will definitely add me to the list of converts to the Tychos model. No pressure Patrix! PianoRacer » April 16th, 2018, 5:20 am wrote: If you are able to implement what you seem confident that you can, you will definitely add me to the list of converts to the Tychos model. No pressure Patrix! Thank you for the encouragement and kind words. This feature is only a matter of time. When Simons TYCHOS is implemented in a 3d model, it's possible to set a camera that shows it from any viewpoint, including a constantly rotating and slightly moving one such as Earth. I feel, as I've said many times to Simon, as the luckiest guy alive to be able to help Simon with this, but technically it's not rocket science (meaning it's not impossible ). But these days are numbered now I would say, and more will catch on, including skilled 3d programmers (as opposed to me) and they will be eager to help. patrix » 16 Apr 2018, 07:01 wrote: This feature is only a matter of time. When Simons TYCHOS is implemented in a 3d model, it's possible to set a camera that shows it from any viewpoint, including a constantly rotating and slightly moving one such as Earth. When you succeed in doing this, would it be a lot of work to do the same for the Copernican model, using official calculations? This seems a good way for people all over the world to test this. 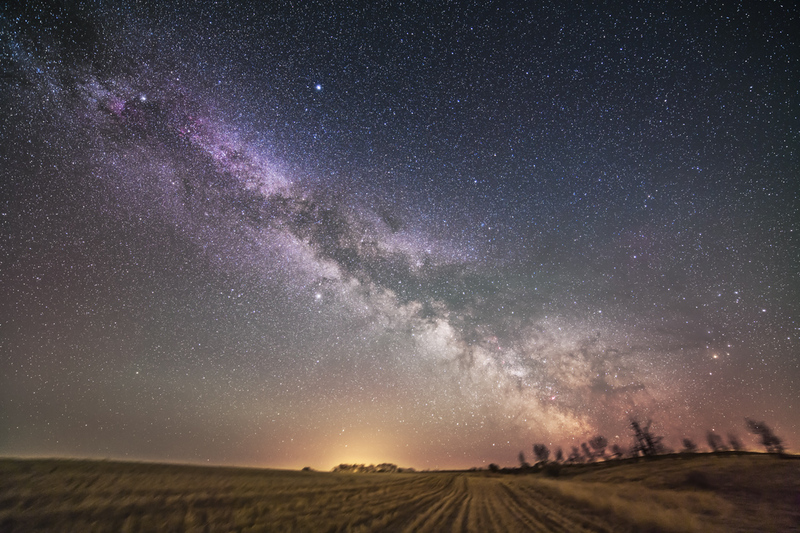 Look at the night sky and see which model predicts best what can be seen. Lower accuracy formulae for planetary positions have a number of important applications when one doesn't need the full accuracy of an integrated ephemeris. They are often used in observation scheduling, telescope pointing and prediction of certain phenomena as well as in the planning and design of spacecraft missions. Approximate positions of the nine major planets may be found by using Keplerian formulae with their associated elements and rates. Such elements are not intended to represent any sort of mean; they are simply the result of being adjusted for a best fit. As such, it must be noted that the elements are not valid outside the given time-interval over which they were fit. The time-interval is 1800 AD-2500 AD. BTW this looks a bit fishy to me, reminding me of climate modeling. ghostofpedro wrote: But he's relying on media fakery as evidence of the heliocentric theory. And since I started to notice that media fakery and scientific matters are so intimately intertwined, I decided to embark in this astronomical research - about five years ago. It should be obvious to everyone that, if I believed in space travel (as peddled by NASA & co), my brain would never have envisaged the possibility that the Copernican model of our solar system (as we were all taught at school) was questionable - let alone impossible (as my TYCHOS model demonstrates). As I see it, this is the beauty and power of Cluesforum. By bouncing ideas between each other, those ideas can 'snowball' into even larger discoveries. Simon, I tried to get the same colleague to watch the Tychosium 3D preview on youtube. His response was "You need to stop listening to these people. This makes no sense." The TYCHOS' explanation of Mars Retrograde makes perfect sense to me... So does Cognitive Dissonance. Dear Seneca, I have difficulty understanding what your point is. Perhaps we could just talk over Skype or Google Hangouts about it? In medieval times it would have taken weeks for two minds like ours to communicate - but today we can do it almost instantly! Please contact me by e-mail to let me know if / when you are available for a voice chat. Thanks Simon, that's a good idea, I will do that. I edited my post in order to try to clarify my point. In order for your model to be able to predict this observed distribution of stellar parallaxes, there are some assumptions that have to apply. 1)in all directions shown in the figure, the number of observable stars is roughly similar. 2)the proportion of observable stars that are too distant to have a measurable parallax is not too high. 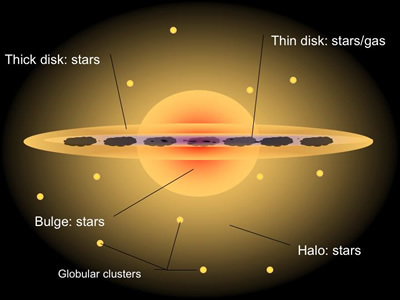 1) If most of the stars are concentrated in a disc (as according to mainstream science), the distribution of parallaxes would obviously be skewed. So I guess you don't agree with that shape? 2) For example, if we suppose that 50% of the observable stars were too distant to measure parallax, even under the best conditions (perpendicular to the PVP orbit), the proportion of stars with zero parallaxes would be much higher than is observed now (toward 75%). Even if only 10% of observable stars are too distant to measure parallax, the predicted distribution will probably be different. regarding 1):In areas without light pollution it is possible to see the milky way. So it looks like the stars are not distributed evenly across space. This is a cartoon representation of structure in our Milky Way galaxy. Open clusters of stars are formed in the galactic disc. As shown, there are two distinct components of this disc, the “thick” and “thin”, whose origins are still debated. Image Credit: Swinburne University of Technology. Our solar system would be situated about halfway between the center and the edge. Suppose for example that the orientation of this disc is parallel to the blue arrow in your figure. Then the concentration of stars would be much less in the "up" and "down" quadrants. 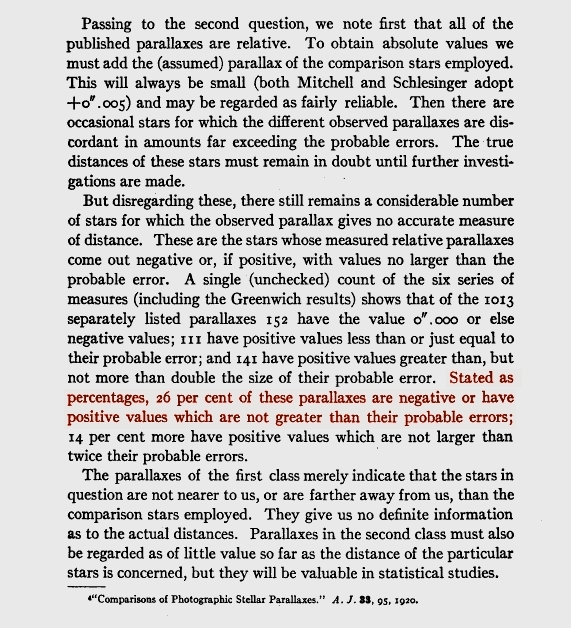 If this was the case then your model would predict that there would be much less stars with positive and negative parallax than there would be that have zero parallax. That is an extreme example to show that the orientation of the galaxy matters. The supposed orientation of the galaxy is actually at an angle of about 60° with the celestial equator. I think this means that there are more stars in the "up" and "down" quadrants, so proportionally less stars with zero parallax. So my point is: no matter how good your model of the solar system is, you can't predict the distribution of the stellar parallaxes without taking into consideration the distribution of stars in space. [Seneca wrote: So my point is: no matter how good your model of the solar system is, you can't predict the distribution of the stellar parallaxes without taking into consideration the distribution of stars in space. About 25% of ALL the stars measured for their parallaxes (against the 'fixed', far more distant stars) are NEGATIVE. HALF of our (moving) stars seem to move one way - and HALF of our (moving) stars seem to move the other way. I know, my writing style may seem overly-simplistic to you - but let us stay clear, focused & simple as we discuss about this. No need to stray into any "galactic considerations" - such as the distribution of stars in space. Observation tell us that 50% of the stars move one way - and 50% move the opposite way. Period. Can the Copernican model explain this? Nope. Can the TYCHOS model explain this? Yes. Thanks for restoring my post. simonshack » 19 Apr 2018, 23:13 wrote: I know, my writing style may seem overly-simplistic to you - but let us stay clear, focused & simple as we discuss about this. No need to stray into any "galactic considerations" - such as the distribution of stars in space. Observation tell us that 50% of the stars move one way - and 50% move the opposite way. Period. Can the Copernican model explain this? Nope. Can the TYCHOS model explain this? Yes. I am aware that what I wrote doesn't disprove your model. I think it is important to scrutinize everything you write in your book. As you know, people that don't like to question the ideas they learned will use any excuse to refrain from doing so. They will use any weakness in your book as an excuse to stop reading and dismiss the whole model. And your model deserves to be judged on its merits. So I will continue to focus on everything. Your new post where you only explain the proportion the positive and negative parallaxes is better. You use this also in your book and compare the 26% figure that is mentioned there with the 25% of negative parallax values listed today in ESA’s Hipparcos catalogues. As is stated the 26% includes all stars with zero parallax, all the stars with negative parallax and all the stars with positive parallax less than or equal than their probable error. While the 25% for the Hipparcos catalogue only include the stars with negative parallaxes. At least that is what I think because I don't know what is meant exactly by the "assumed zero parallax" category. I followed the link you provided in your book to find the source of those percentages. I think it is this. 25% have negative parallax, 29% positive parallax and 46% assumed zero parallax. and in the southern celestial hemisphere, 46% of non-zero objects had a negative parallax. Could this very symmetrical distribution be a naturally occurring phenomenon? Didn't you predict that stars with positive parallax would mostly be situated in the southern celestial hemisphere and the stars with negative parallax in the northern celestial hemisphere? BTW, the copernican model can't explain this either. But the old Tychosian model (without the PVP orbit) can: we would expect something like this if all the parallax was caused by the rotation of the earth. -How, where and when were the observations made exactly? -How was the parallax calculated? Was the movement of the earth as predicted by the Copernican model used as a factor in the calculation? I am looking forward to our talk on Skype. Seneca wrote: Didn't you predict that stars with positive parallax would mostly be situated in the southern celestial hemisphere and the stars with negative parallax in the northern celestial hemisphere? Remember that when they talk about 45% and 46% of stellar parallaxes (listed on ESA's official catalogues) - they are referring only to the "100%" of stars which actually show some amount of parallax. The other half of our stars (roughly 50%) exhibit ZERO (or near-zero) parallax. Precisely as depicted in my above graphic. simonshack » 20 Apr 2018, 19:35 wrote: Remember that when they talk about 45% and 46% of stellar parallaxes (listed on ESA's official catalogues) - they are referring only to the "100%" of stars which actually show some amount of parallax. The other half of our stars (roughly 50%) exhibit ZERO (or near-zero) parallax. Precisely as depicted in my above graphic. 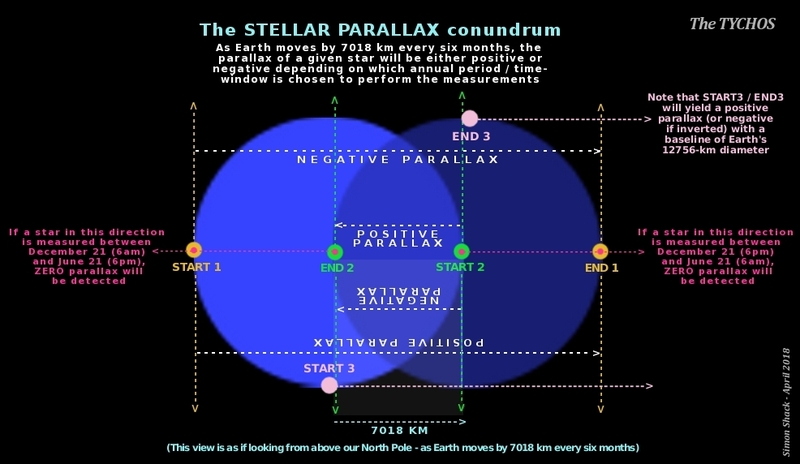 "Of the non-zero-parallax stars in the northern celestial hemisphere, 45% of them had a negative parallax", this would probably mean that in that hemisphere 55% had a positive parallax. (because they are not negative and not zero). While in your drawing all non-zero parallax stars would have negative parallax. So like I wrote earlier, I think we should look into these parallax calculations more closely before we can draw any conclusions, other than that the Copernican model can't explain this. Seneca wrote: So like I wrote earlier, I think we should look into these parallax calculations more closely before we can draw any conclusions, other than that the Copernican model can't explain this. Vittorio Goretti wrote: The Hipparcos Catalogue stars, about 118,000 stars, are a choice from the over 2,000,000 stars of the Tycho Catalogue. As regards the data concerning the same stars, the main difference between the two catalogues lies in the measurement errors, which in the Hipparcos Catalogue are smaller by about fifty times. I cannot understand how it was possible to have such small errors (i. e. uncertainties of the order of one milliarcsecond) when the typical error of a telescope with a diameter of 20÷25 cm is comprised between 20 and 80 milliarcseconds (see the Tycho Catalogue). When averaging many parallax angles of a star, the measurement error of the average (root-mean-square error) cannot be smaller than the average of the errors (absolute values) of the single angles. It would be important for the Hipparcos researchers to confirm their catalogue measurements with new ones performed from the ground, especially in the case of stars whose parallaxes were not known before the 1991÷1994 Hipparcos Mission. Hence, what we need to find is a set of trustworthy stellar parallax data collected by large earthbound telescopes - complete with the exact dates / time-windows during which those measurements were made. Ideally of course - as Hoi Polloi has suggested - we should aim at performing such measurements ourselves one fine day... Now, I don't really like the concept of crowd funding but perhaps, in this case, it may be a worthwhile project to put up and see if it gathers public interest / support? I don't know. Thoughts, anyone? To be sure, I would certainly encourage any willing pro / or semi-pro observational astronomers to perform a "TYCHOS-based" verification of our stellar parallaxes. I suggest that six relatively nearby stars could be chosen: four of them located in the four quadrants 'surrounding' Earth along our celestial equator - and the other two located above our North Pole and South Pole. The stakes are, of course, "sky high"!... If it turns out that their parallaxes negate (beyond any reasonable doubt) the TYCHOS paradigm, I will be happy to abandon my TYCHOS theory. But if it turns out that they confirm (beyond any reasonable doubt) what would be expected under the TYCHOS model's tenets, this would be 'game over' for the Copernican / Keplerian heliocentric model - and this world will end up being littered with Simon Shack statues for the foreseeable future! Note that, if the TYCHOS model is correct, this would neatly explain why some independent astronomers (such as Vittorio Goretti) have lamented that their own stellar parallax observations are in dramatic conflict / and totally inconsistent with the official data published on ESA's Hipparcos and Tycho catalogues. It all depends on WHAT TIME-WINDOW is chosen to measure the parallax of any given star! I like your graphic, it has a lot of information packed into it. Perhaps an indication of the north and south directions would make it even more understandable. And mentioning or indicating the rotation of the earth, because a lot of people won't get the importance of that movement immediately. What I am still missing is the indication that under your model parallax also depends on the location of the measurement (both latitude and longitude) but perhaps this would overcomplicate it. Perhaps you could make/add to the graphic and show us all what you mean?